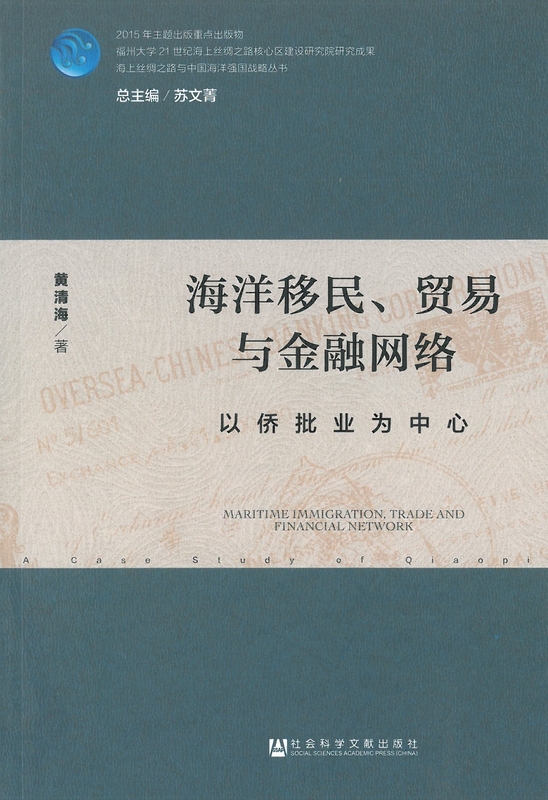 Summary: This book gives readers a historical overview of Chinese emigration by the editors. Beside that, it examines how centuries-old Chinese diaspora were formed to facilitate subsequent migrant flows and migrant resettlement. 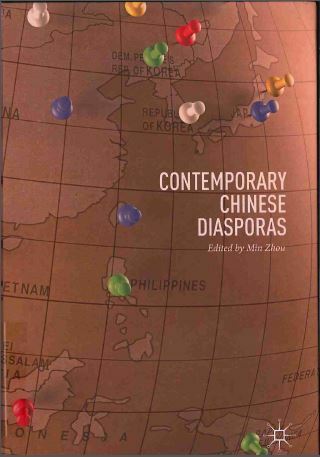 Its focus on intra-Asia migrations, offers readers some points of reference from which to understand contemporary Chinese migrations across the globe. 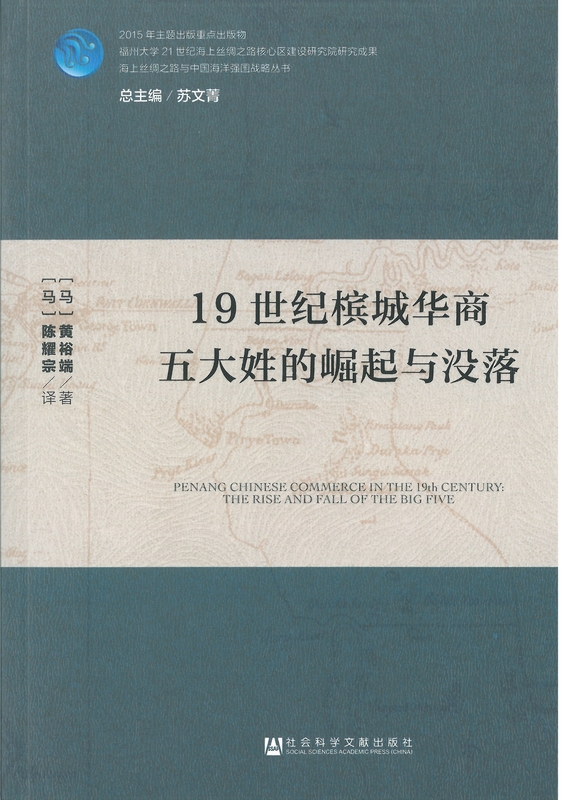 Moreover, this book investigates how the intersection of nation-state policies, global economic forces and migrant socioeconomic networks can influence the emigration from China and reimgrations from the Chinese diaspora. 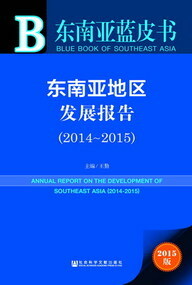 The chapters are organized according to the geography of the receiving places, including Africa, Asia, Oceania, Europe and America. 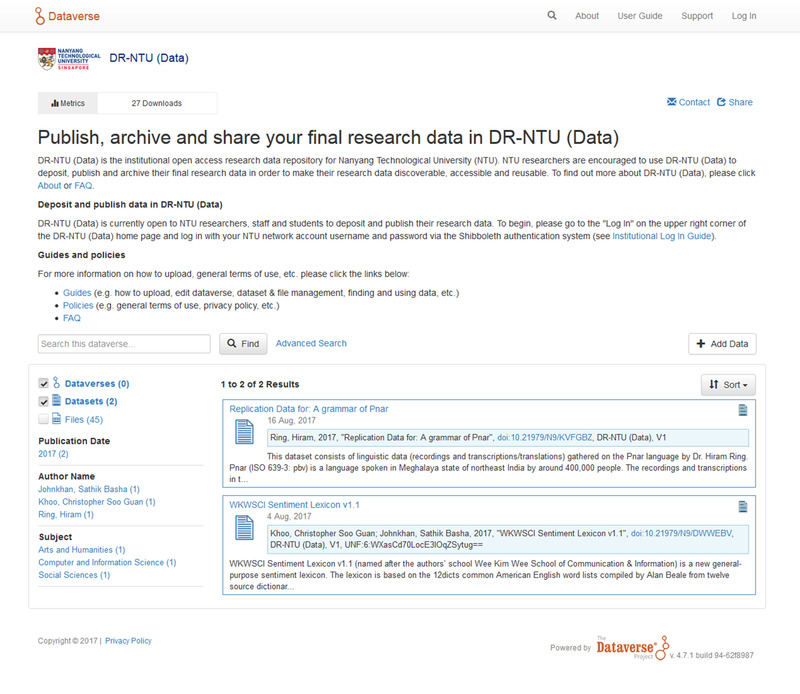 ​NTU open access data repository DR-NTU (Data) is ready! We are pleased to announce that the NTU open access data repository DR-NTU (Data) (https://researchdata.ntu.edu.sg) is now available for NTU researchers to deposit, publish and archive their final research data! Data archiving on this platform will help NTU researchers meet their requirements as stipulated in the NTU Research Data Policy. Data sharing on this platform will boost the visibility and reuse of one’s research data, including related publications such as journal papers. Visit our blog posting and FAQ to learn more about what to deposit, file size, file formats, data sharing licensing, data citation and DOIs, etc. If you have any questions about DR-NTU (Data), please feel free to contact us at library@ntu.edu.sg.